For many years PC users have faced a harsh reality. An internet subscription always comes with an antivirus or internet security package. Not that it ever was mandatory, but as my early experience confirmed; connecting the computer to the net for the first time allowed viruses to invade my digital sanctum as soon as I’ve finished configuring it. So usually you could either get a web security package or go Linux. Now, however, as the world has recognized that access to the Internet is a human necessity akin to access to water (although there are voices against both), avast! Has offered a free version of its antivirus package that offers way more than the classical manual scan. 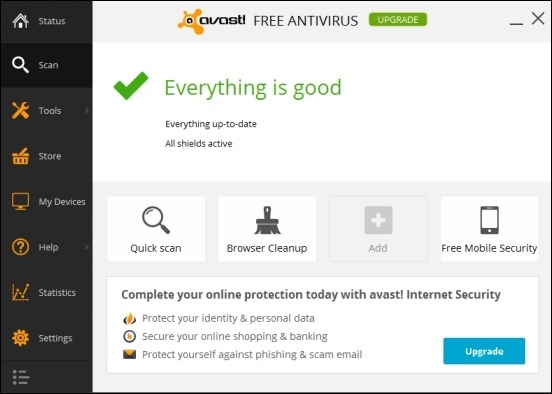 Although it is struggling to conform to the somewhat standard Metro look, avast! Free Antivirus is especially elegant, allowing access to every function within a distance of two clicks. The main view panel has four slots in which you can place any function or tool you wish for an even quicker access. Everything else is stylishly fixed on a panel on the left side. Although at first glance it seems you have quite a lot to explore, the most relevant sections are Scan (obviously) and Tools. Scanning offers several interesting options. Quick and Full scan are available as expected but there is also a Boot-time scan. This neat feature allows avast! 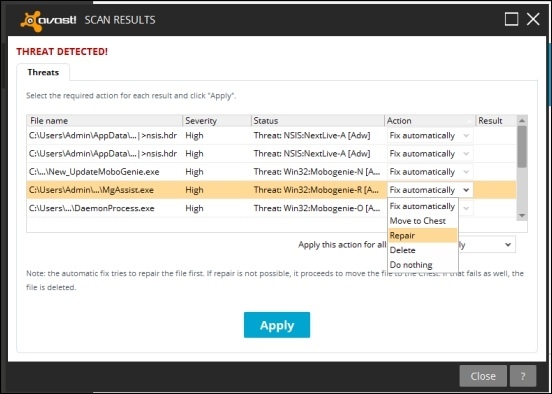 to boot up with the computer itself and run a scan before any malware can act. This is a good thing to schedule if you won’t be in a hurry the next time you start your computer. The Tools section offers 8 special tools out of which 5 are available freely but only 3 are truly free of cost. Starting off, Software Updater is a neat feature that scans for updated versions for the software you have installed on your computer (such as Firefox, Chrome, iTunes and Adobe Reader). SecureLine creates a secured connection to the internet by using one of Avasts!' servers. This lifts off worries when connecting to public WiFi networks since all of your outbound traffic will be encrypted. It also functions like a proxy server so you can “hide” your location and access region locked content. The downside is that it ceases to be free beyond three days of becoming active. Browser Cleanup removes unwanted toolbars and add-ons that might have been installed stealthily along with other software. You know the kind that creeps up on installation wizards and tries not to get noticed you while keep clicking next without reading the text. AccessAnywhere gives remote access to other computers that run avast! Premier. You also need to have Premier installed if you wish to give remote access to your computer. Premier is not free, so basically this is a premium feature disguised as being free. Not to worry though. You are definitely not being tricked into accepting anything. It’s just marketing. Rescue Disk is a wonderful addition. You can create a scanning CD or USB stick that can perform Boot-time scans. It essentially gives you the option of perform up to date scans on computers that have no access to the Internet. There may be sensitive situations where you would like to make sure that your computer is free of malware before plugging in the wire. It is important to note though that CD’s and USB sticks do not update by themselves. Hence it’s best to produce them when needed rather than have them in advance. Out of the other sections it is worth mentioning that avast! Free Antivirus also allows to manage all of your devices and computers that have it installed. My Devices displays them as long as you have the same credentials on all of them. I love the Software Update. I can check on all my common applications and update them from here. A serious antivirus package that is actually free! Not many really. Probably only the fact that almost every screen reminds you that there are more tools and features ready to be used if you would only buy them. avast! made sure that a serious grade antivirus software would be made available to the world free of charge and that is in itself the kind of conduit that will help the human spirit prevail. Thank you!